Bronx Locksmith to be your number one lock and key locksmiths in the Bronx, NY. We provide door lock solutions for both residential and commercial premises. With top of the line locksmith tools at our disposal and a reliable 24 hour Emergency Locksmith service your safety and security is assured. We also provide automotive lock out solutions, so you’ll never get locked out again. No job is too big for us, our highly trained technicians are waiting for your call. Our company provides fast and reliable professional 24 hours emergency locksmith services at extremely competitive rates. 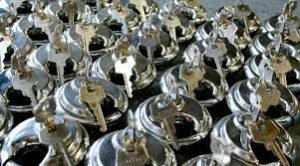 At Bronx Locksmith, a division of AlwayReadyLocksmith.com, we stand behind our workmanship – 100% client satisfaction guaranteed. At Bronx Locksmith we are fully equipped mobile vans, with a machine shop in them available 24 hours a day 7 days a week, we service most major lock brands and any lock you need we will order for you, including the brands we do not sell. ALWAYS READY LOCKSMITH IS HERE TO SERVICE YOU IN THE BEST AND MOST AFFORDABLE WAY.